Four-story condominium blocks are popping-up like mushrooms on East Hastings, from Clarke though Sunrise and along to Capital Hill. The quality of these developments vary dramatically. At the top end are the all-concrete structures. The bulk are concrete ground floors topped by three levels of wood frame and plywood. At the discount end of the spectrum are the concrete base topped by three floors of wood and oriented strand board, or OSB – an engineered wood product made by compressing layers of wood chips with adhesives. OSB has a variety of features that make it attractive over plywood, including larger sizing, uniformity blah blah. 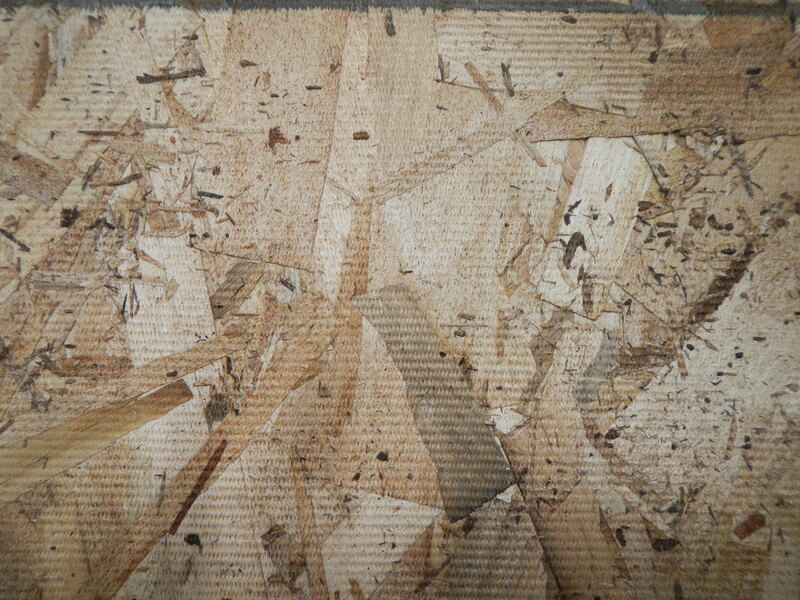 And cheaper: a sheet of OSB sells for half of an equivalent sheet of plywood. 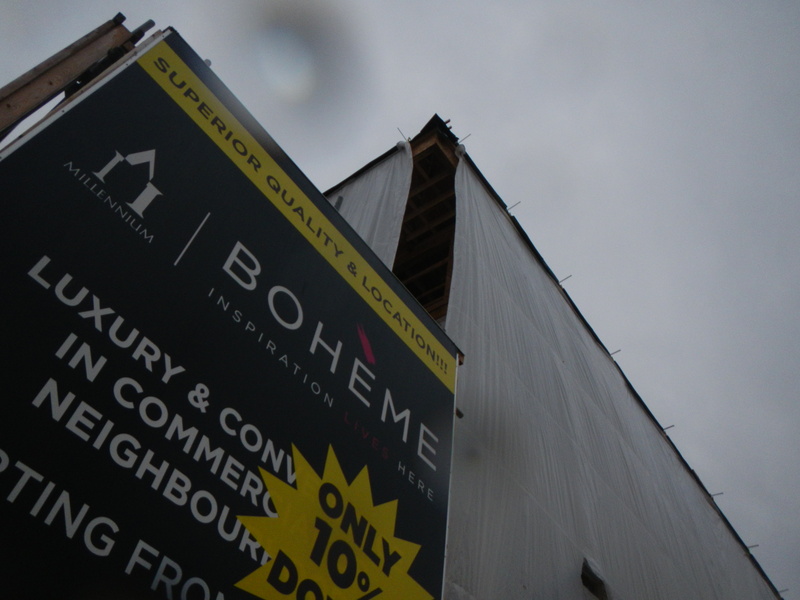 Grandiose claims and prices aside -some of the available units are retailing in excess of $446,900- Bohème is a discount OSB special. The shredded wood and glue amalgam sheathing sat unprotected for weeks through several waves of the fall sub-monsoon rainstorms before anyone thought to purchase a tarp, and then only enough to cover half the thing. But as the sheen on the Blomberg refrigerator fades, and the “Carrara marble inspired porcelain tiles” crack and chip, and rot pushes its way through living room walls, the punters will have their bohème. Yikes. Interesting information; I guess they’ll have fun with special assessments for decades to come.